Being Retro: F is for Flintstones! was a Hanna-Barbera Production that originally aired on ABC-TV in prime time from 1960-1966. It was network television's first animated series to which there were 166 original episodes. The original name of the series in which a pilot was even made, was "The Flagstones". When it was realized that the "Hi and Lois" characters' surname was Flagston, the name was changed. 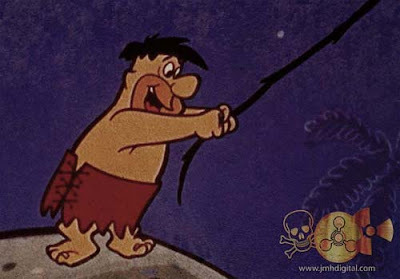 The name "Gladstones" was considered and actually appeared on a number of sketches before the final change to "Flintstones". The original opening sequence features Fred driving home from work, racing through the streets of Bedrock. Upon arriving home he runs his car into the garage, then goes in the house to sit down and watch TV (Not too dissimilar than the opening of "the Simpsons"). 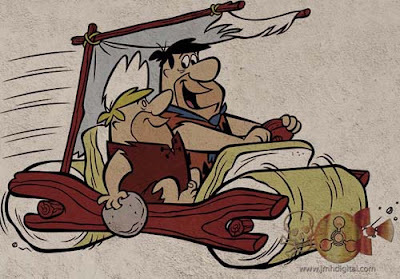 It wasn't until the third season when the opening and closing sequences had the "Meet the Flintstones" theme song. This opening shows Fred sliding down the tail of his dino-crane at the quarry, then Wilma, Dino and the cat pile in the car where they drive to the movies. The closing sequence shows them driving from the movies to a drive-in restaurant where Fred orders ribs which tip over the car, and then drive home, and Fred still attempts to put the cat out. The very first episode aired on September 30, 1960. Titled "The Flintstone Flyer" (P-2), it was actually the second Flintstones episode produced (after The Swimming Pool, P-1), but the first to air. Fred and Barney want to go bowling instead of being dragged to the opera by Wilma and Betty. Fred fakes being sick and Barney flies them to the bowling alley in his hand-cranked helicopter! 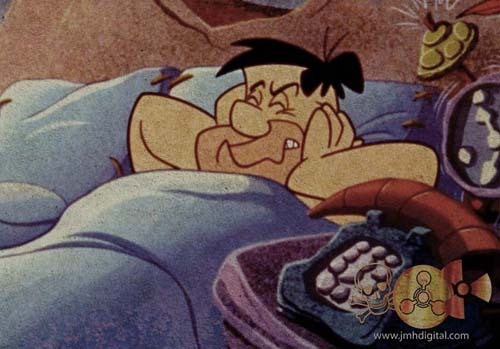 "The Flintstones" was nominated for an Emmy in 1961 for "Outstanding Program Achievement in the Field of Humor". They lost to "The Jack Benny Show". The show was a model for many other animated TV series and had a major impact on the world of animation. 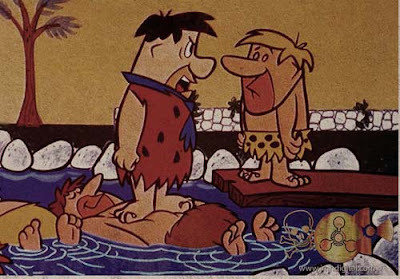 Many cartoons, even today, show obvious influences from "the Flintstones". Pretty cool info on some of the classics! Cool! I love that The Simpsons played off the opening of the show! I love the Flintstones. I had a buddy who would invite me to lunch at his house near the school. His family ran a chicken shack so they always had leftovers. We loved watching the Flintstones. In dozens of favorites my all time number one is the episode where Fred and Barney take the girls into the woods to hunt the Snorkasaurus and it turns out to be Dino who actually talks in this episode and talks with a hilarious accent. I wish I could find those clips. Yabadabadooo! 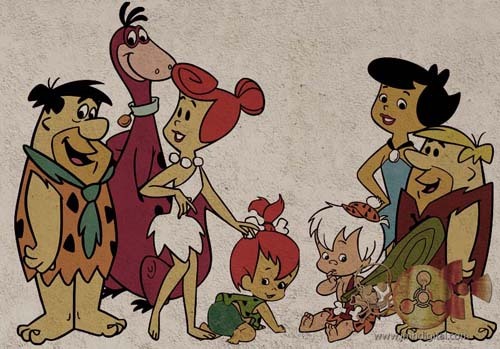 I loved the Flintstones...until that annoying little martian, Kazoo?, came into the picture! I especially love the fact that the Flintstones used to be used to hock cigarettes in a national ad campaign. I don't think we'll ever see those days again. I LOVED the Flintstones when I was a kid. Especially the car where they had to run with their own feet. And the lodge and how lazy Fred was. I didn't get all the adult jokes then. Huh. I didn't know any of that. Pretty cool. Thanks!